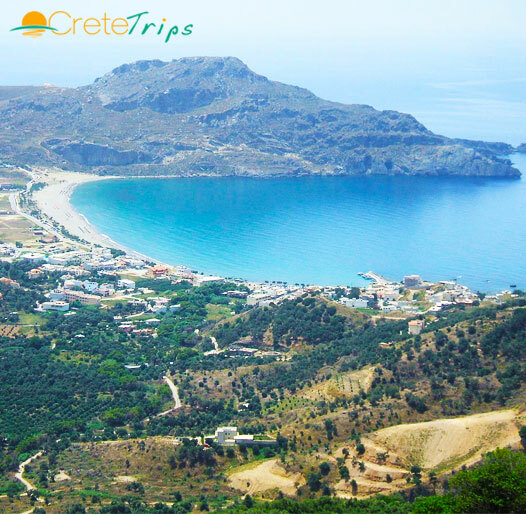 Enjoy this magnificent tour of South Crete! We start the excursion by visiting the Olive oil factory in Vrysses. The next stop is at Kournas Lake, surrounded by the famous "white mountains".Then we visit the village of Argiroupoli which combines natural beauty and history. The area is famous for its springs with waterfalls, its old mils and the lash green landscape. Then we reach the wonderful village of Plakias by the sea where you can enjoy swimming or have lunch. On our way back you will have the chance to visit Preveli Monastery and admire the breathtaking Kourtaliotiko gorge. We go swimming in Libyan sea of Southern coast. We visit olive oil factory where we explain how the olive oil is being produced and people can buy high quality oil from factory. Transport to and from Plakias Beach. Experienced English-German speaking guide available throughout the trip.